Tyania is an Emergency Room Nurse and her husband Kyle is a South Bend Police Officer. When this couple is not serving the South Bend community, they are spending time at home with their two children. Tyania was recently diagnosed with breast cancer. Her treatment requires her to take time off work while she completes several rounds of chemotherapy. 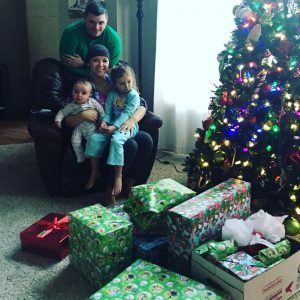 This loss of income combined with the accumulating costs from treatment will cause this holiday season to be a challenging time for this young family. Homes for Heroes Specialists, The McKinnies Team wanted to do something to help this family through their difficult time and boost their spirits during this holiday season. 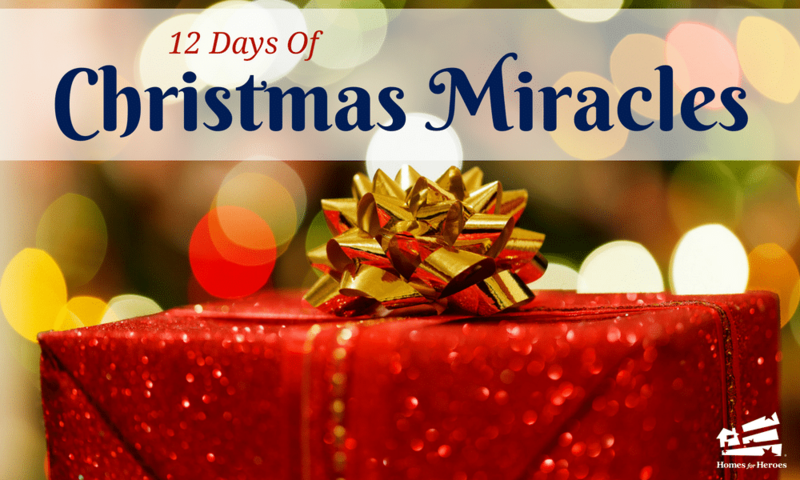 This family was in need of a Christmas Miracle. The McKinnies Team went to this hero’s household to honor and present them with $500 in gifts on behalf of Homes for Heroes. The family received enough gifts to fill their tree, including baby dolls, clothes and some awesome toys for the children. Mom and Dad received a gift box for a special date night! During the visit, Tyania shared the awesome news that she had completed her final round of chemotherapy! She is scheduled to have surgery at the end of the year and will hopefully be back to work in the ER by February.